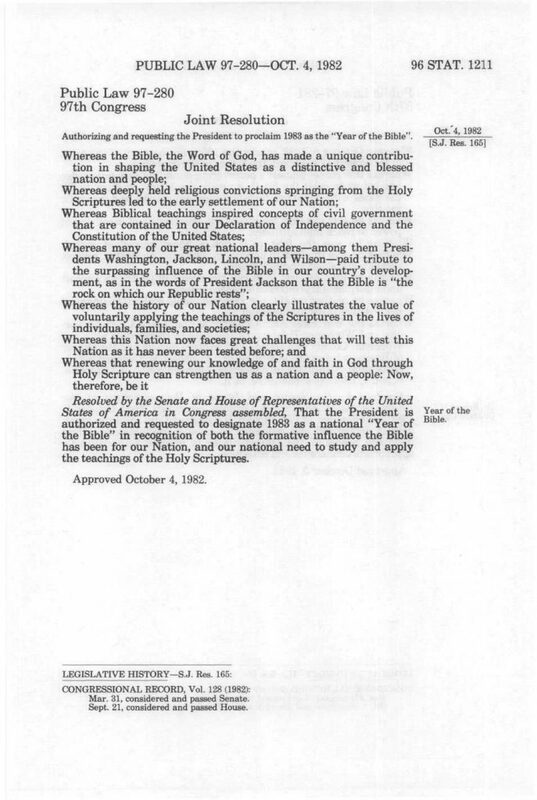 Authorizing and requesting the President to proclaim 1983 as the “Year of the Bible”. This entry was posted in ACTIONS, EDUCATION, LAWS, NEWS, REPUBLIC, RESOURCES by Republic for Michigan. Bookmark the permalink.